Ever Wondered What Happens If You Mix Coke And Milk Together? You've seen how Mentos candies can cause a bottle of coke to explode. It's quite awesome and a lot of people have pranked their folks with it. 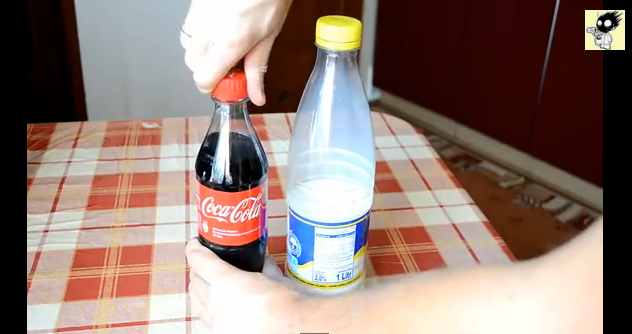 Mixing coke and milk together is not as exciting as coke and Mentos but the result is very interesting. The soda turns clearer to the point of almost getting transparent. Science tells us that this is the result of a chemical reaction when acids from the soda and milk mix together.